Begun by Sar Eahur over a thousand years ago, the Banner Knights served as an elite force during the war against Talanth. Their code and demeanor were modeled after the hero-knight Sir Ilius. The first six Banners were officially ordained in 80 BCE by Sar Enar. A great calling of mistics bestowed magical powers to each order of knights. 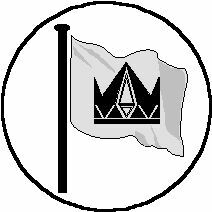 Later, after the war, Sar Enar also established the Knights of the Royal Banner whose color was the noblest of purple. These special knights are the personal guard of the Sar. No player-character may be a Knight of the Royal Banner. Since then, two new Banners were ordained during the War of the Two Realms in 1196 CE. Today, the Banner Knights remain a strong corps of armored warriors who strive the embody the code of chivalry. They must be loyal, trustworthy, and just in their actions. They must be recognized as leaders among their peers, officially or not, and are courageous on the field of battle. Banner Knights will not fight amongst themselves out of anger or vengeance, but only as a matter of honor. And even when two Banner Knights meet in a fight of honor, it is never to the death. Respected by the realm, the word of a Banner Knight carries much weight in matters of justice. A Banner is usually never sought by an individual, but is bestowed upon a person of high character and worthy deeds. The Banner Knights are divided into eight groups designated by color and duty. The eight Banners are divided into two groups: battle and command. One the one hand, the battle colors are Amber, Azure, Ebony, Emerald, and Scarlet; they are the field warriors. Knights of the Amber Banner are usually compassionate and helpful. They are the reserve forces who provide aid for their comrades and were often skilled in the medicinal arts. Their abilities lies in their power to heal. Knights of the Azure Banner are usually swift, persistent, and adaptive. They serve alongside the Scarlet Banner in courage and conviction and are often flankers on the battlefield. Their abilities lie in the power over air and water. Knights of Ebony Banner provided support for the first wave of knights and provide defense for the Ambers while they retrieved the hurt and dead. The Ebony Banner specialize in dealing with enchantments and the fallen. Though these knights are touched with the necromantic arts and are often somber and grim, they remain true to the Path of White. Their abilities lie in the power over magic and spirit. Knights of the Emerald Banner served as scouts and tended to be armored the lightest of all the knights. They were sent into the field before the heavy fighters to run reconnaissance, to check for enemy movement, and to check for traps and ambushes. Their abilities lie primarily in the power over plant and animal. Knights of the Scarlet Banner were meant to strike first and strike hard. They are often the youngest of all the Banner Knights full of rash bravery and striving dedication. Their powers lie in the strength and ferocity of fire. On the other hand, the command colors are Brazen and Silver; they are the generals and leaders. Knights of the Brazen Banner serve as captains and generals upon the field of battle. Depending on their experience and ability, these knights serve to lead groups of other Banners. A Knight of the Brazen Banner often begins as a Knight of the Scarlet Banner who is promoted to command. Their powers lie in the power over earth. Knights of the Silver Banner are the highest ranking leaders of all the Banners. They are the administrators, the commanders-in-chief, the tacticians, and the precepts of the Houses of the Banners all over the realm. A Knight of the Silver Banner begins as a battle Banner who as achieved superlative distinction and honor. Their powers lie in the power over the mind. Generally, a starting character begins in one of the five field Banners. To gain promotion to the command Banners, the character must petition and spend points early to gain Status level 3. If the character is promoted, they are transferred to either Brazen or Silver and their given knightly powers change to the new Banner. Finally, as a Brazen or Silver Banner Knight, the character must gain Status level 5 to reach the rank of Knight of the Crown. The Elder of the Realm must determine whether the character is worthy of appointment to a command Banner. 1) Thou shall proudly display thy station of Banner Knight, and let no mouth utter untruths or slander toward knighthood. 2) Thou shall demand the respect and honor as is deserved by thy station, and provide honor and respect to those deserving by their station. 3) Thou shall uphold the laws of the land, unless such laws prove unjust and without nobility. 4) Thou shall not shrink from battle as thou art a bringer of justice through the might of arms. 5) Thou shall hail and meet the foe most worthy of thy stature to bring the greatest honor upon thy name. 6) Thou shall not fight for fancy's cause or seek blind vengeance. 7) Thou shall not bring unjust or unlawful pain or punishment to any creature. 8) Thou shall always protect the innocent, the down-fallen, and those incapable to aid themselves. 9) Thou shall guarantee thy given word and shall never renege on an oath unless keeping the oath shall bring even greater dishonor. 10) Thou shall lay down they life before thou shall turn away from the Ten Codes of Honor. A knight's powers may be used at will and requires calling the respective spell's invocation line. The magical weapon, shield, and armor awarded a Knight should reflect their Banner. For example, a Knight of the Scarlet Banner may receive a permanently Fire Charmed weapon. Or a Knight of the Emerald Banner may receive a permanent magical Shield. Or a Knight of the Azure Banner may receive armor with additional uses of Protection from Air. Furthermore, these items are considered personal and cannot be taken from the character nor can they be used by anyone else than the Knight. The Elder of the Realm determines the magical qualities of the awarded arms. The Ebony Banner ability to Turn Undead and Dispel Magic gains in level as the Knight rises in rank. The level of the Turn or Dispel is equal to the level of the Knight. � 1992-2010 Archaea & Edmond Y. Chang. All rights reserved. This site is maintained by the Elder of the Realm. These pages are best viewed with Internet Explorer. Open your browser to the largest viewable area.